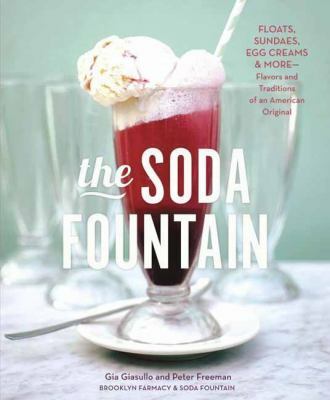 The Soda Fountain is a collection of 70 recipes celebrating the history and stories of the classic American soda fountain from one of the most-celebrated revival soda fountains in the country, Brooklyn Farmacy. Today’s soda fountain revival – not only in Brooklyn but in cities like Philadelphia and San Francisco – is remaking this quaint institution into a stylish and compelling food trend by recreating bygone treats like sodas, egg creams, and floats with local, seasonal, and artisanal ingredients. Combining delectable ice cream confections with natural sodas, syrups, tinctures, and phosphates, the recipes are both splendidly nostalgic (The Purple Cow, Cherry Lime Rickey) and charmingly innovative (The Sundae of Broken Dreams).